In this week’s Martin & Sylvia: Saturdays! 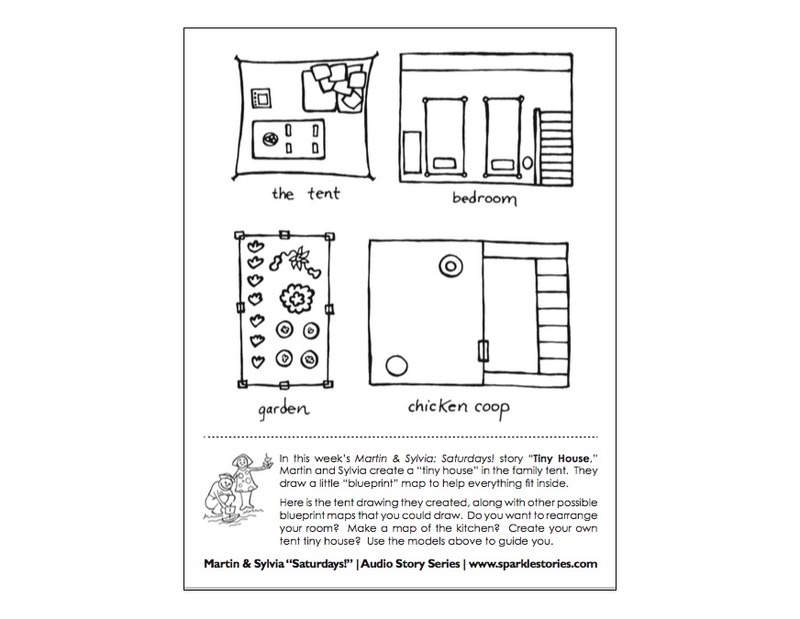 story “Tiny House,” Martin and Sylvia create a “tiny house” in the family tent. They draw a little “blueprint” map to help everything fit inside. Here is the tent drawing they created, along with other possible blueprint maps that you could draw. Do you want to rearrange your room? Make a map of the kitchen? Create your own tent tiny house? Use the models above to guide you.